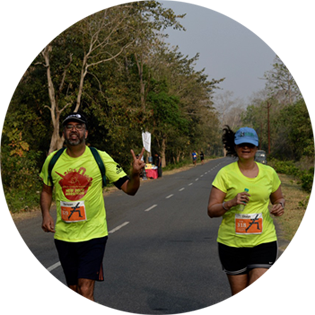 Running has obvious health and fitness benefits, but more importantly, provides very powerful benefits of boosting self confidence and helping unleash one's potential by breaking self created barriers one by one. Attaining your goal in a race, or even over the course of a few weeks of regular training, can get you to attain a high like no other. Often, when you see your progress over time, and just look back to see where you have come from, you get amazed, as well as excited by the fact that – whatever you want to achieve, is within your control. A personal stretch goal achieved, gives a high far greater than any business stretch goal achievement. You are in charge. Running can make an extraordinary winner out of each one of us ordinary mortals. All of us fight with many (mostly) internal and (a few) external thoughts which block us from starting to run. People at my age don’t run. I have never run before / for a long time. People have started running late in their 40’s and 50’s. Fauja Singh started at 89. 100 year old Fauja Singh inspired us by flagging off the 2nd Panchkula Running And Living Cross Country Half Marathon in 2012 and then running a short distance too as his enthusiasm got the better of him. I have a breathing problem. Running has been known to reduce asthma as it strengthens the cardio vascular system. What will people think of me. They’ll actually envy you! I will be out of place. Actually just look around you and you will see people of all shapes, sizes and ages running. Don’t worry, you will not stand out. I have no time. President Clinton and Anil Ambani make time to run regularly. So can you. I travel a lot. So do they. Pack your shorts, T shirt and running shoes. Running helps overcome jet lag. Get to see another city while you travel – in a unique way – while running. I am too fat. But isn’t that what you want to address? Lose weight, get healthier and more energised? People have lost over 25kilos of weight primarily through running and following moderation in eating. Running can be a no rocket science, no crash diet, long term means of losing weight, keeping it off, and leading a healthier lifestyle. I am slim. I don’t need to run, or exercise for that matter. Being slim is not necessarily synonymous with being fit, self confident and positively charged. Doctors have told me running is bad for the knees. Unless you have a bone problem, impact exercise -of which running is the most steady, has been known to reduce incidence of osteoporosis, strengthen the muscles and bone joints and ACTUALLY improve the condition of your knees.. Once again – the shoes you wear must be appropriate to your feet and must also be replaced as soon as you see signs of wearing out on the heels of your feet. I will start next week. If you look at your diary for next week and see all the things that have been put there, it may be better to start this week and ease up on your heavy ‘next week’. It’s too cold. Wear layers of ‘breathable’ clothes for warmth and head out. It’s too polluted. There is far too much noise & traffic on the roads. Run early morning, or in a park, or indoors on a treadmill if possible. There are no proper running trails where I stay. Check out a park, or even the roads/ sidewalks early in the morning. Stray dogs are a problem. Run with a stick and build your own confidence. Most often, they don’t even care, especially earlier on in the morning. I don’t have company. Start and you will make many new friends and acquaintances, as you start greeting people who are walking and running. 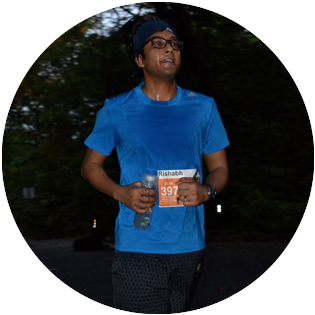 Join a running group. So what’s your reason for not running today? If you still have one, send us an e mail and let us be of help. Feel Younger Get fitter Even live longer! Discover your potential & a sense of achievement in completing milestone after milestone. Control sinusitis and even say farewell to sniffles, the common cold and perhaps flu too. Re-energize your self and spend time with yourself. 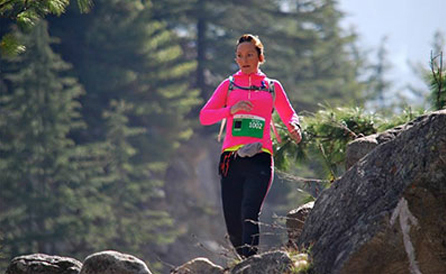 Running is great for women, men and children of all ages. Start as a beginner runner today. Millions of people around the world benefit from including a bit of running into their lifestyle, so why not you. We all spend a lot of time working on how to get our company to grow and be more profitable. We spend some time on our employees and subordinate’s plans, we spend a little less time on our own career and growth plans, and perhaps close to none on our own personal plans and health; until the performance at work is not in line with what you know you can do, or the doc tells us to, by which time, we are a little late. 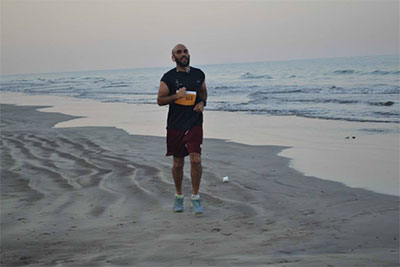 But it’s never too late to start a bit of running and begin enjoying life by feeling fitter, younger, refeshed and energised, as that is the true way to unleash your personal potential and see life open up. Fauja Singh in the UK, ran his first marathon at the age of 89 since he was getting bored and did not want to be sent to an old folks home. “My younger daughter when 6, ran her first 5k run. I have run several marathons and been inspired by many, including a one legged runner with prosthetics, at the starting line of the Rio marathon. 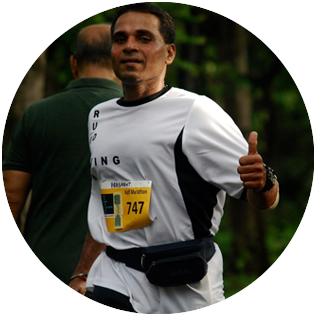 Running makes living worthwhile – weight, cholestrol, blood sugar, sinus and more… all get managed with running. We get a bonus of a self confidence boost as we see ourselves progress most noticeably in stamina, and then, very quickly, it is more about how we feel and how we look! That’s a great promotion – focus on one thing and get another free!!! One of the motto’s that I live by now is – If you feel good, you look good! Everywhere we see more and more people running rather than walking, whether it’s on the roads, or in parks and gardens. Some with a professional look – all kitted out, but most, with the basics. An attitude – doesn’t cost much. So now that you are on this website, that’s dedicated to enabling you to unleash your potential, stop walking and start running. You owe it to yourself. Click here to see what running shoes your feet need. This is the most important bit of basic information you require. Very often, incorrect shoes lead to foot pain, which travels up to the ankles, then to the knees, then hips and then to the lower back. The world over, millions more people every year are taking to running. More and more recent studies are showing that running is better than walking for good health. Others have started running and living. Have you? So Get Fitter, Younger, Refreshed and Energised, to Unleash your Potential Or to cut a long story short Get FYRED UP! Start running and living today! !